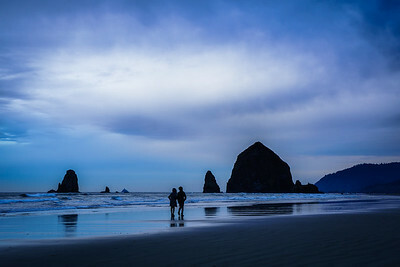 A couple enjoys a sunset stroll at Canon Beach, Oregon. 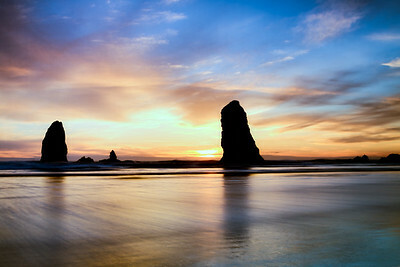 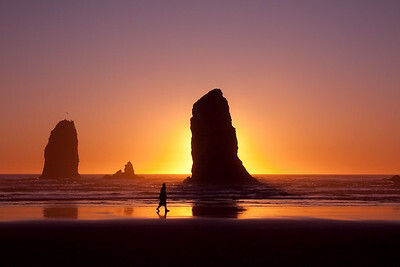 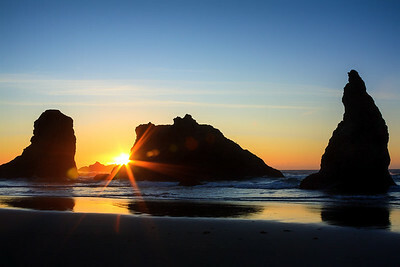 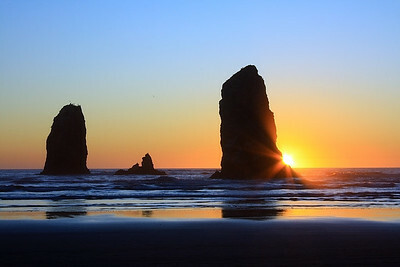 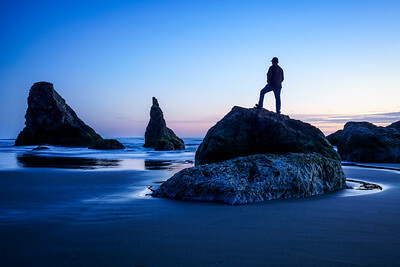 Sunset at Bandon Beach, Oregon. 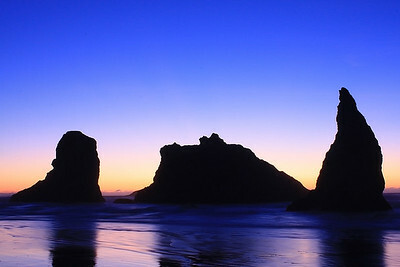 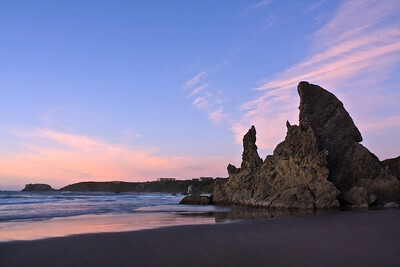 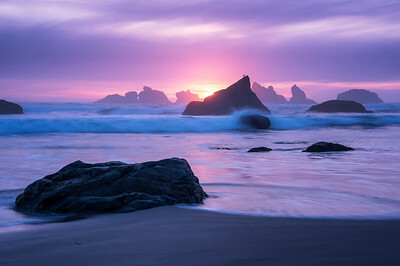 As twilight falls on Bandon Beach, Oregon, the soft pastel blues and pinks cover the sky and reflect in the ocean. 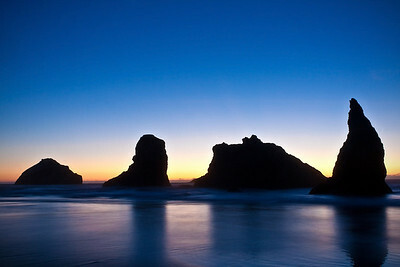 At Bandon Beach on the Oregon coast seastacks reach out of the sand toward the twilight sky. 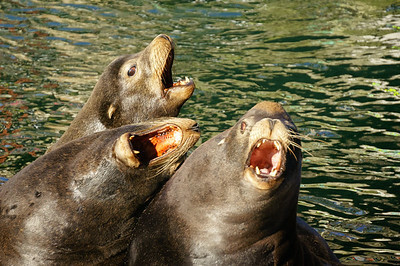 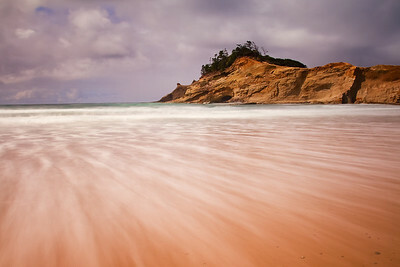 It was anything but peaceful as the wind whipped the sand in my face and I stood shivering loving every minute. 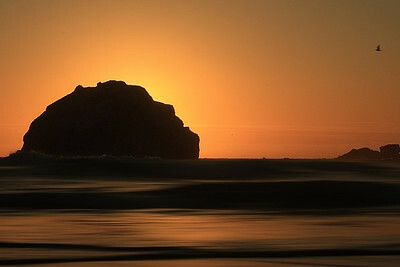 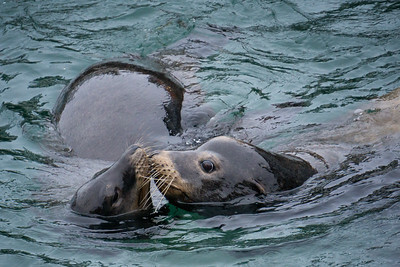 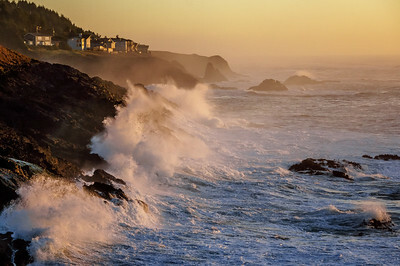 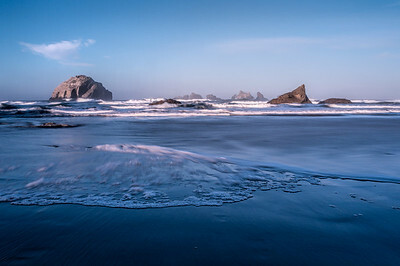 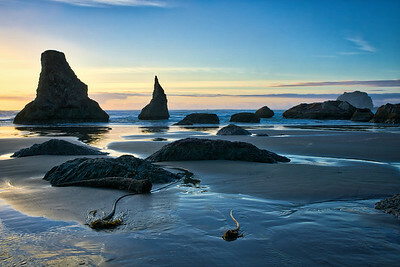 The ocean has this way of being still and moving at the same time, captured at Bandon Beach, Oregon. 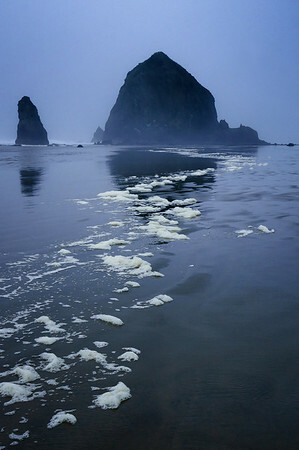 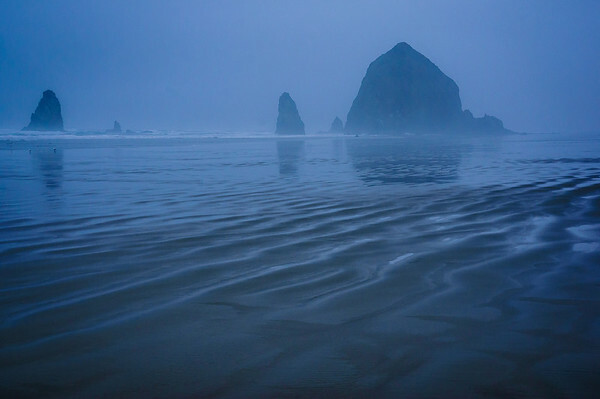 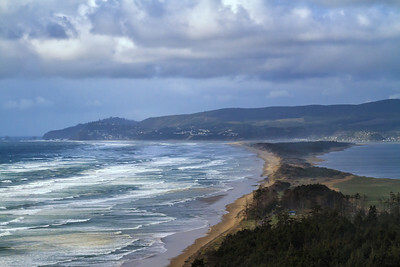 Sea foam leads to Haystack Rock at Cannon Beach, Oregon. 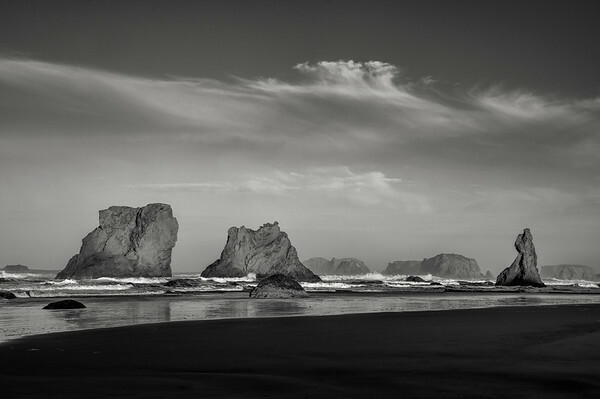 Black and white seascape at Bandon Beach, Oregon.